First of all you have to install both .pat files. You can do this by double clicking each icon. Create a new document. 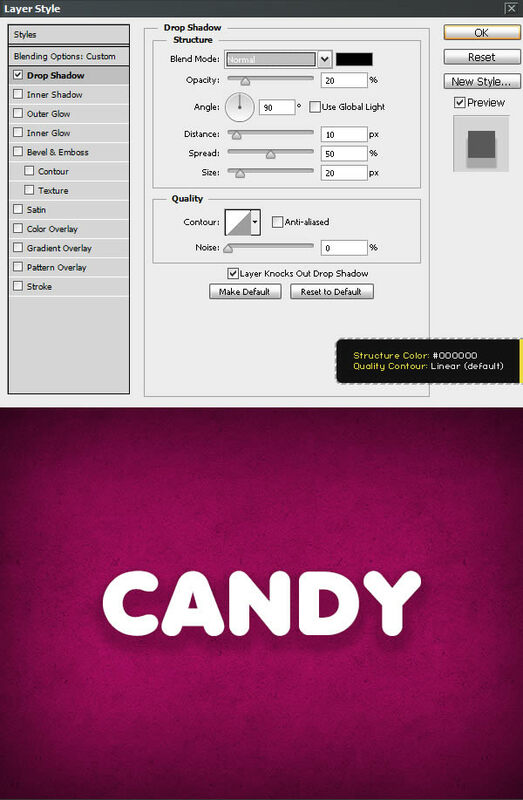 Set width to 600px and height to 450. Resolution must be 72 DPI. 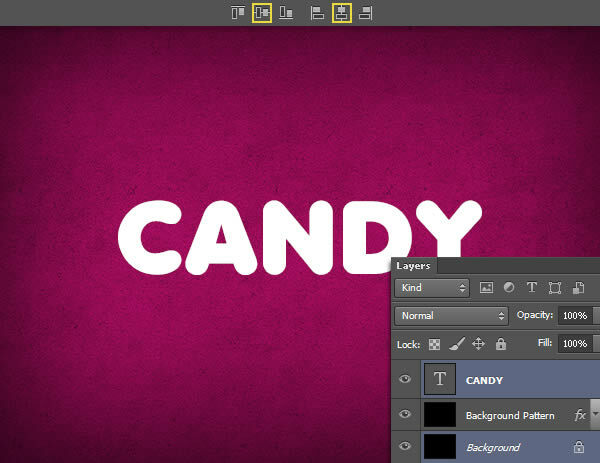 Duplicate the background (Go to Layer > Duplicate Layer > OK) and rename the new layer as ‘Background Pattern’. Now we are going to add some texture. 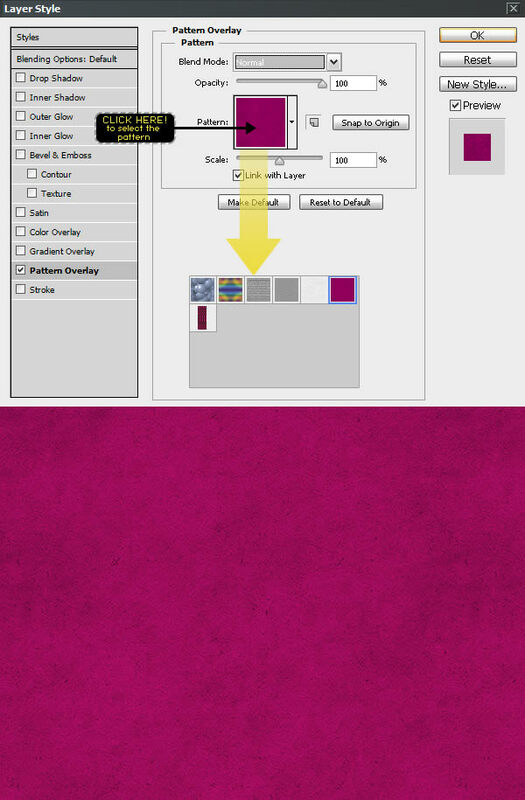 Double click on ‘Background Pattern’ and the ‘Layer Style’ window will appear. 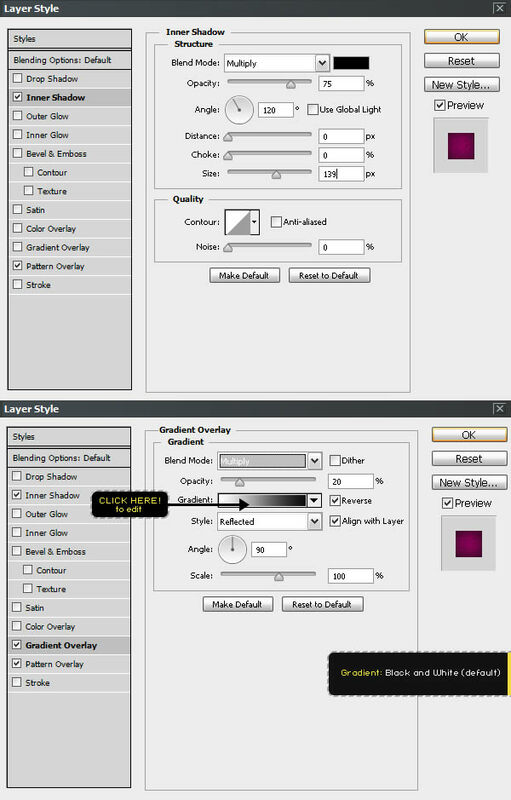 Go to ‘Pattern Overlay’, select ‘Cherry01′ from the list and press OK.
To create the vignette style you have to double click on ‘Background Pattern’ layer and, once the Layer Style window appears, set the following values. 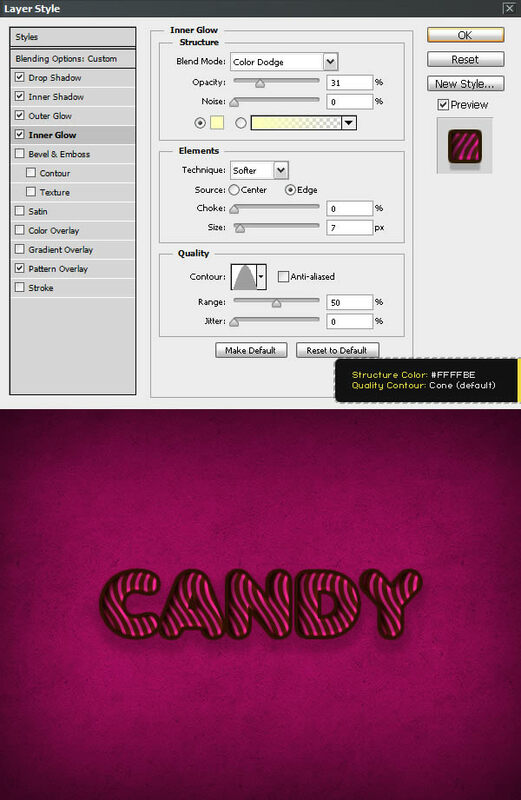 Type the word CANDY or a text of your choice using ‘Anja Eliane’ font. 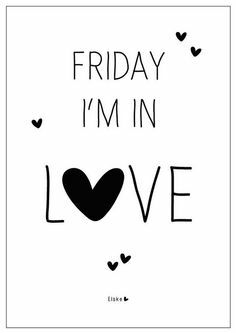 Set the font size to 100 pt and tracking to 40. For best quality, change the anti-aliasing mode to Sharp. 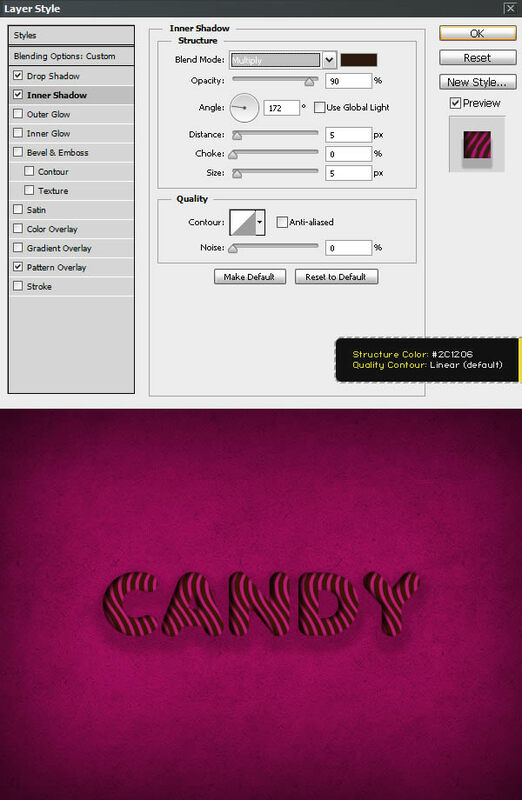 Using the ‘Move Tool’, select the text and background layer, then click the align commands: ‘Align Horizontal Center’ and ‘Align Vertical Center’ on the top menu to center it, as shown in the image below. 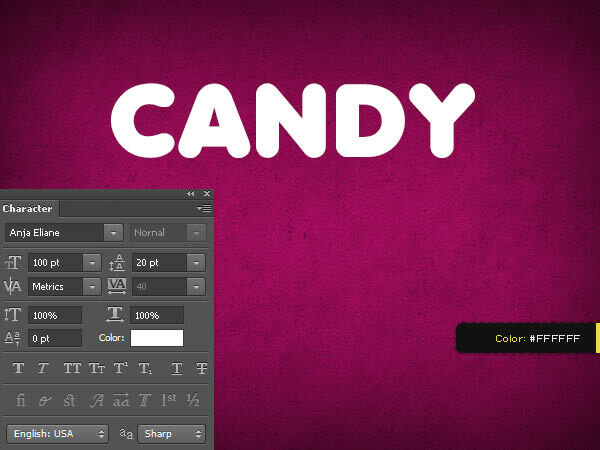 Add a layer style to the text, you have to right click on the layer in your layers menu and choose Blending Options. 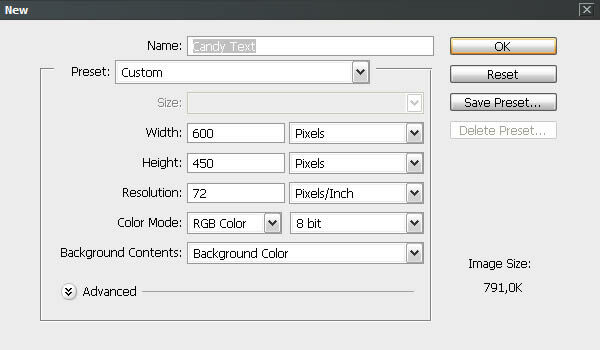 Use the settings shown in the following picture and press OK.
Let’s start with the text effect! First we are going to add some shadows to separate the text from the background. Go to Layer Style > Drop Shadow and use the values shown in the image below. 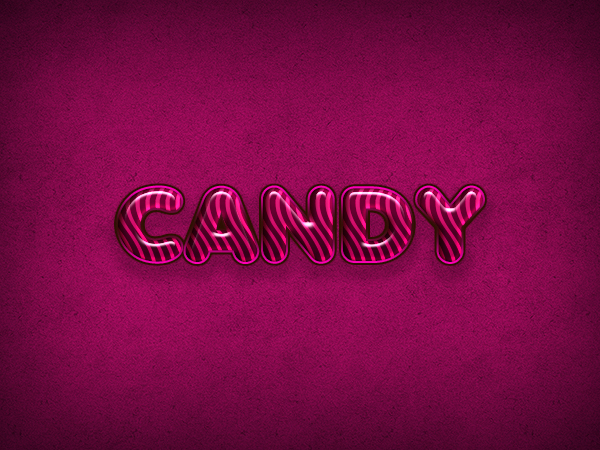 Now we start with the candy texture. 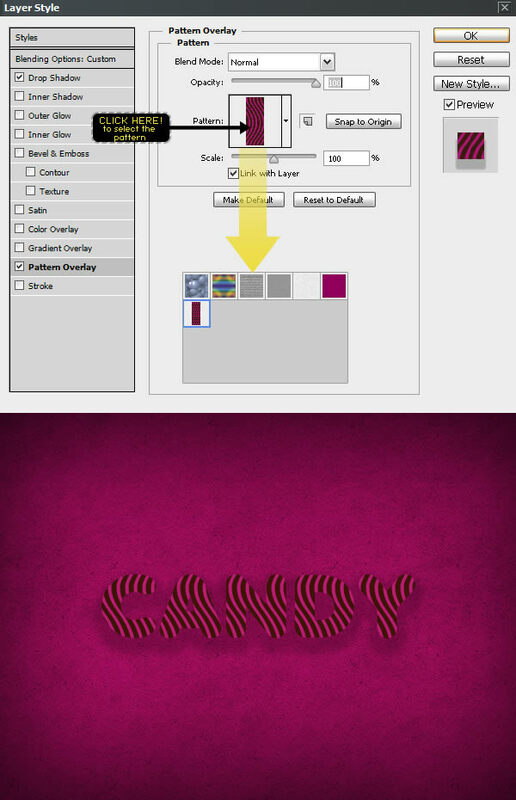 Go to Layer Style > Pattern Overlay, click on the Pattern Box and choose ‘Wavy Pattern’ from the list. 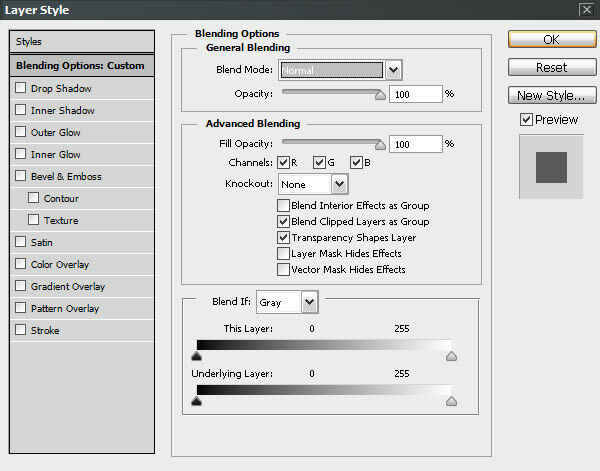 Select Inner Shadow from the Layer Style window and set the following values. This will give a deep effect to the text. 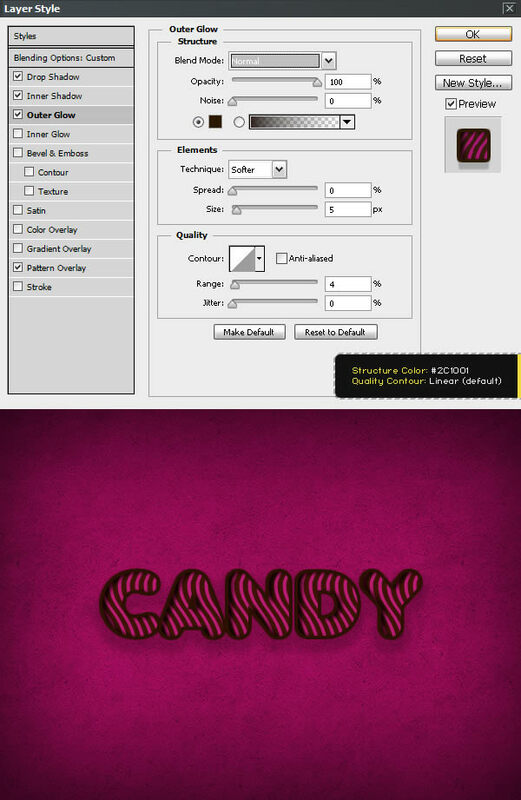 Go to Layer Style > Outer Glow and use the settings shown below to add shadows to the text. 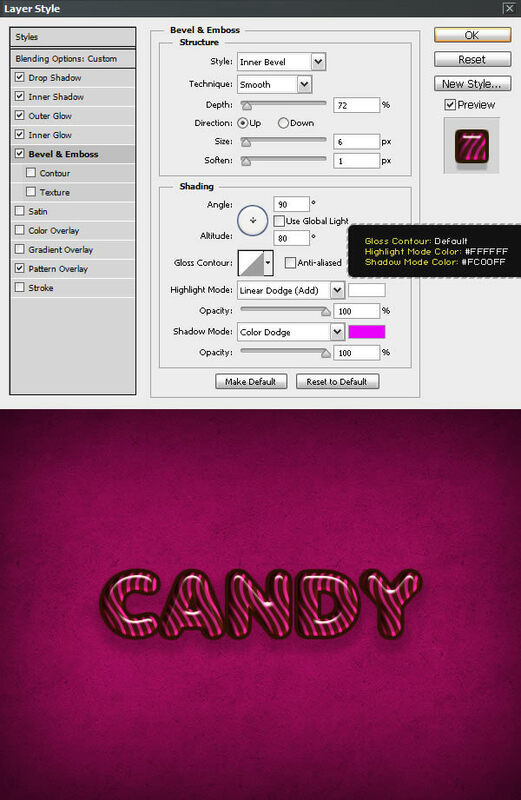 Got to Layer Style > Inner Glow and use the settings shown below to add light to the text. Now we are going to make the ‘glossy plastic’ effect. Go to Layer Style > Bevel & Emboss. Use the following values. In this step we are going to make the colors richer, emphasizing lights and shadows. 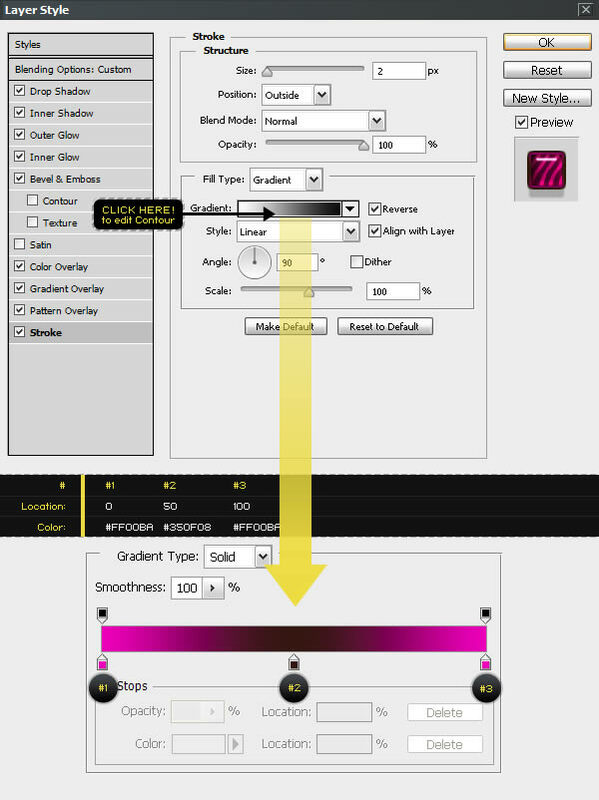 Go to Layer Style and modify ‘Color Overlay’ and ‘Gradient Overlay’ setting the following values. This is the final step but not less important, we are going to lightening edges to get a stunning effect. Go to Layer Style > Stroke, and use the values shown in the image below. Tip: To create a new point in the gradient you have to click under the gradient bar. Clicking each one of the color stops allows you to modify Location and Color. Set them to the Values shown in the picture.